As an employer, it is your prerogative to terminate any employee at any time and for almost any reason (more on that shortly) provided that you give them appropriate notice or pay in lieu thereof. Full and Final Release: Does it Cover Sexual Harassment? Everyone wants their employees to feel safe in their place of work. The rise of the #MeToo movement has helped bring to light one of the greatest challenges to this aspiration. 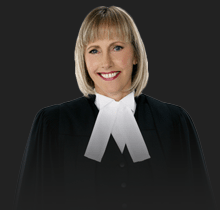 https://www.kcyatlaw.ca/wp-content/uploads/2019/02/Full-and-Final-Release-Does-it-Cover-Sexual-Harassment.jpg 800 1200 Kathy Chittley-Young https://www.kcyatlaw.ca/wp-content/uploads/2018/01/KCY-at-LAW.svg Kathy Chittley-Young2019-02-22 15:00:012019-02-22 15:00:01Full and Final Release: Does it Cover Sexual Harassment? In a previous blog post, we looked at the principles of accommodation, namely: dignity, individualization, integration, and full participation. In this post we will explore the limits of accommodation. Are you concerned with one of your employee’s productivity? Does their performance leave something to be desired? One day, after over 30 years of a successful career and hundreds of priceless relationships built, you are handed an envelope at 5 o’clock, told you are no longer needed, handed an envelope and that you should get a lawyer. Not the best day for sure, but it did get considerably brighter once I met with Kathy Chittley-Young and her team at KCY at LAW. Upon arriving at KCY at LAW I was greeted with warmth and consideration. Kathy carefully walked me through the structure of the severance process. Lots of people will give you lots of advice and opinions once you are severed, but Kathy was able to manage my expectations framing it from the perspective of the employer, myself and the courts. It is evident that she has had a lot of experience handling these matters from both sides. She kept me informed regularly by copying me the correspondence, saving me the cost of inquiring phone calls. The staff made sure the other team was working on the matter by reminding them of the lag time if they hadn’t heard back at regular intervals. Kathy’s attention to detail gives you the confidence that no money has been left on the table. She checks figures for accuracy and uses relevant comparables. As a result, my agreement was wrapped up quickly and was very fair from both sides. During this emotional and stressful time of life I couldn’t recommend anyone more equipped or competent than Kathy Chittley-Young to have on your side. I was experiencing pay equity issues and matters of company policies / compensation not being enforced fairly or unilaterally with fellow employees. It was a challenging decision to proceed with the matter under legal consultation with Kathy and her Team. Kathy’s strategy of forward thinking and planning assisted to steer the matter for a positive outcome. The Team at KCY is very professional and compassionate for their clients who are dealing with trying and challenging matters. We approached Kathy and her team late last year when it became apparent we would need some help with employment issues. Although the process to resolve those issues was longer and more challenging than we hoped for, Kathy’s guidance and advice was invaluable. Kathy always took care to make sure we knew the up and down sides of any decision, and represented our interests to others in an informed and robust way, but for us the most important part of Kathy’s support was the ongoing encouragement to keep the legal matters in perspective and focus on all the steps necessary to move past a difficult situation. We’d strongly recommend KYC at LAW to anyone that needs help with employment issues.